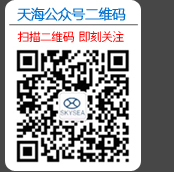 Shanxi SkySea Industry Pump Co., Ltd. owning a history over 50 years in production of electrical submersible pump ,is a manufactuer which began to develop the electeical submersible pump earliest in China,and also the President Unit of lrrigation and Drdinage Equipment Division of China National Agricultural Machinery, the AA grade standard enterprise for good quality and honor. The registered capital of the enterprise is RMB 150,000,000, and the annual total industrial output value and revenue are up to RMB 500,000,000. The enterprise�Ls comprehensive strength ranks at the top of domestic industry. 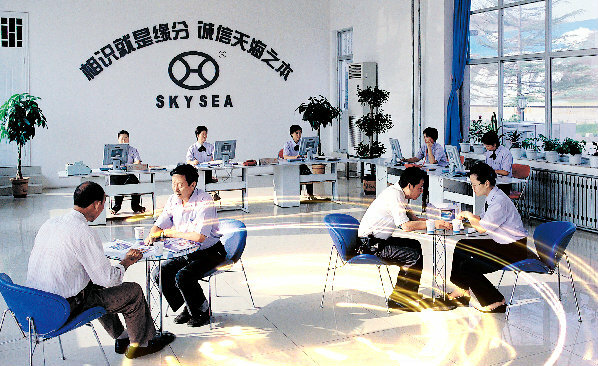 SkySea owns five holding subsidiaries, which are Shanxi SkySea Water Supply Drain Equipment Co, Ltd, Shanxi SkySea Small Electric Pumps Co, Ltd, Shanxi Tianrun Indus-try Pump Co, Ltd, Shanxi SkySea Water-power Engineering CO, Ltd, and Yuncheng SkySea Beverage Co,Ltd; besides there are 289 points of sales,30 transit storages throughout domestic China;the products are exported to the regions such North America,Africa and Mideast. The Company has very strong technology strength; at present, we have 18 senior engineers,65 profes-sionals;60% of the staff have college or technical school degree abve.The R&D center of our enter-prise was confirmed as the provincial level enterprise technical center;the products designs are all adopted with the methods of CAD,CAPP,CAM,and the manufacturing are wholly performed by robot automatic processing production line,and the best international assembly line;our advanced quality test center for electrical submersible pump is recognized as the Shanxi Products Qualify Supervision and Test Station.The company has passed the IS900 quality control Certification,ISO14001 Environmental Management Certification,and OHSAS18001 Occupation Health Safety Management certificantion.With regarding to the products structure and manufacturing techniques,we have 2 national patents for inventions,18 patents for utilify modsls,4 appearance patens, and 8 copyrights. The enterpris established long-term technology cooperation with several farmous universities in domestic China,and particl-pates many national large scale hydraclic projects,China-aid foreign projects,and all of these are highly praised and commented by the government department such as the Ministry of Water Resources.Win the future through solid work,fulfill the dream by innovation,Skysea will conthinue to insist the opera-tion principle of "People-oriented,Integrity management,Customer first, and Creating first-class produc-tions", and take "Product diversification,Property right socialization,Industry internationalization" as our targets to make all of our efforts and devotes all of our hard work to make the enterprise a world leading pump enterprise,and let the brand of Skysea become a centurial world brand.